Dr. Eva A. Malanowski has never shied away from working with the most challenging problems individuals face. Her inspiration has come from observing and encouraging the life force in individuals that propels them to seek growth in even the most difficult circumstances. She has had extensive experience helping a wide range of people to free themselves from early emotional injury, including in-depth treatment of federal inmates and clients with Autism Spectrum disorders. This ability to coax the spark of growth out of those with even the most hardened inner shells, an Amáte Growth Work term for those who have created fear-based barriers to taking emotional risks due to unresolved childhood trauma, is what makes her uniquely qualified to facilitate clients in reaching their Emotional Maturity through Amáte Growth Work. Dr. Malanowski became the first trained Amáte Growth Work Facilitator at the Amáte Institute/Aspen, and has now established The Amáte Institute/Boulder to offer this vital healing method to those in the Boulder area as well as offering intensive treatment options for clients from around the world. 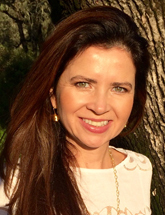 Dr. Malanowski earned her masters and doctorate in Clinical Psychology from Baylor University. She completed her post-doctoral fellowship in Psychology from the University of Colorado Health Sciences. She devoted nine years to helping individuals with Autism Spectrum disorders and developmental disabilities reach greater independence. Through her work as a supervisor she found great satisfaction in mentoring aspiring psychologists and counselors in their career development. After outstanding work in a variety of clinical settings, she became Director of the Aspen, Colorado Counseling Center from 2009-2011, she continued in the rewarding role of a coach and mentor while supervising a staff of 19 psychotherapists. Most recently she has received federal awards for the innovative program she created at the Federal Bureau of Prisons in Englewood, Colorado for inmates with sexual compulsions, technology addictions and substance abuse issues. Please click here to view her Work Experience and Training. When she was 7-years-old Eva’s family left her birthplace of Warsaw, Poland as political refugees and came to the United States. This dramatic change in her environment prompted Eva into a state of introspection and observation at an early age, as she learned to navigate a different culture and learn a new language. As a 13-year-old, Eva Malanowski wondered why she and so many others were not happy when they lived in such a beautiful place, Boulder, Colorado. That disquiet sent her on a personal search for a path to healing, joy, and meaning. After completing a rigorous course of study in traditional clinical psychology, Dr. Malanowski studied many non-traditional treatment modalities and developed her skills in hypnosis, Energy Healing Work, Energy Psychology and became a Reiki Master. After many years of education, personal growth and development of her skills as a clinician, Dr. Malanowski had a dramatic spiritual transformation at the age of 37. Not long after that time, 2010, she met the creator of Amáte Growth Work, Dr. Martha Susan Horton, and discovered the pieces she had been missing no matter how many spiritual retreats she attended, how many inspirational books she read, or how many forms of therapy she experienced. Amáte Growth Work helped her create a solid emotional and spiritual foundation and confirmed powerful inner guidance that suggested she build her life’s work slowly from the ground up. With previous modalities she had tried there were wonderful insights, even wonderful healings, but there remained a stuckness, an Amáte Growth Work term that means an inability to continue growing emotionally, and a lack of deep self-confidence. Finally, through Amáte Growth Work, she found the key to healing, lifelong growth and self-actualization. Dr. Malanowski has discovered that the transformation begun through Amáte Growth Work has continued long after the initial period of Amáte Growth Work was completed. New insights about childhood issues have continued to blossom. She has continued to take new and significant emotional growth risks, and has gained a confidence in handling challenging situations with maturity and peace. Through the Amáte Institute/Boulder Eva Malanowski is excited to offer this incredible healing and growth journey to others.